All our politics is Politics of Welfare. 1. The Liberals want the State to tax those who earn and provide Welfare to those who do not, so that those who earn can keep themselves forever on the treadmill and those who do not can be happy with the handouts, and this should keep everyone off politics. 2. The Conservatives do not want to tax those who earn and do not want to give Welfare to those who do not, so that the former is happy and the latter is on the treadmill, and this should keep everyone off politics. These conversations are so common that one may think this was always the case. However, as we know, politics of welfare is not primordial, but rather an industrial age phenomena. At its core, it assumes that everyone can, and should, be able to find work, and it is either Unfortunate (Liberal) or Criminal (Conservative) not to be able to find work. I wrote a post earlier about my reading enterprise in 2016 (see here), something of a narrative account of my book diary and a Goodread's Reading Challenge that I indulged myself with. As an aggregate, it showed a failure - I only finished half as many books cover to cover as I set out to do - and fragmentation of goals and enterprises, as I followed several different agenda and did not complete any of those in any form. In a way, this is fine. I wanted to follow my heart in what I chose to read, and it really could not have been otherwise. In a sense, I want my relationship with my books to be impulsive yet profound, momentary yet forever remembered, free of commitment but laden with meaning. This is what I am, perhaps: Long ago, someone promised me a relationship with 'all the dimensions, but no destination', and though all the details of that conversation have faded, the idea remained with me, and now morphed into a quest for me to be lived in the books. I started 2016 with a surprise discovery: That Bill Gates reads a book a week! I love reading books, yes, the old fashioned paper books, and spend most of my time and money on books. And, yet, I struggle to read as much as I would like to, as life intervenes. The work, the chores, the celebrations and the worries, moments social and the solitary, all present their different challenges inbetween me and an undivided and unwavering commitment to my books. And, yet, here is the man, who earns about $150 every second - if that's one benchmark how valuable his time must be - and who, as Michael Sandel explained, may find stopping and picking up a $50 bill if he spots one lying on the pavement a waste of his time, claiming that he accords highest priority to reading, and even sets aside time when life gets too busy! Everyone, it seems, loves an Org Chart. The little boxes of power, those straight lines of responsibility, that one page definition of the hustle of start-up life - neat, tangible and reassuring! It is loved by those who make them, as they see themselves securely placed in one box or another, and by those who demand them, investors, accreditation agencies and bankers, so that they know how to give credit and how to apportion blame! When they are given out publicly, as is usual in countries that thrive on hierarchy, customers treasure them for writing complaints to the big man at the top and salesmen treasure them to cut the chase. Massimo d'Azeglio is usually credited with coinage of the expression "We have made Italy, now we must make Italians" (though scholars have now indicated that he never did write this, and the expression originated only later in the current form). Whoever said this, this represents what we may call the 'problem of Italy' - a new nation state without the corresponding sense of citizenship and belonging. Indeed, most of Italy's modern history is marked by disunity, between North and South, between the Left and the Right, the Industry and the Peasantry and so on. The existence and implausibility of the Nation State in Italy, something that the expression of 'making Italians' indicates, have been the basis of much discussion, not just in academia but in politics: It is no surprise that 'making Italians' was appropriated and popularised by the Fascists who took the project on themselves. The Trump Syndrome: What To Do When We Don't Like The Outcome? I am something of a veteran being on the losing side of elections. And, with interests in politics globally, I am on the losing side more often than normal. I have indeed no business taking sides on US or Filipino Presidential elections, or the referendum in Italy, but I did want an outcome and ended up being on the losing side. Closer home, I did vote Remain and was stunned by Brexit, and more disappointed than surprised by Indian choice of their Prime Minister in 2014. It is not a good time for people with 'Liberal' sympathies, and I am sure to be in for some more disappointments in 2017, including some major ones in France and Germany, as it looks like. Whenever I speak about Universities As Networks, the idea smacks of being the 'cool new thing': I am immediately hit with the claim of tradition - that universities have been in their current form for 'hundreds of years' - with the implication that this institutional form is resilient and not going to change anytime soon. The point is, of course, that the critical thinking that universities claim to imbibe in their learners is expected not to be applied to the institutions themselves. This claim of faux-tradition, that the universities have been around in some sort of unchangeable form for hundreds of years while everything around them changed, often goes unquestioned. So, a little scrutiny of the origins and traditions of the universities is quite useful for our conversation. If we follow the talk, the future of jobs is bleak. Software is eating the world, as Marc Andreessen loves to claim, and he means it literally. Economists are now studying the probability that jobs such as Taxi Drivers and Restaurant Waiters would be automated in all seriousness. Technology seems to be reaching a tipping point that would transform the workplace. For those who felt change is always slow and cumbersome in India, the recent move by the Indian government to annul the Rs. 500 and Rs 1000 notes overnight should be a clear sign that things have changed. Indeed, there are certain things which never change - the implementation was poor and thoughtless and the bewildering array of tinkering that came afterwards demonstrated the jugaad mentality - but Chinese-style decisive action may have now become politically fashionable. 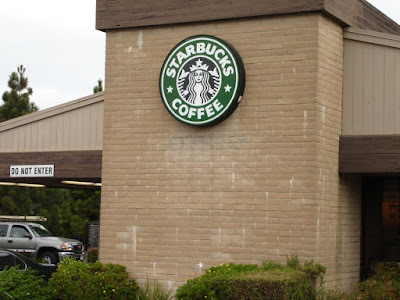 Coffee shop chains are cool, but are they? That Starbucks, Costa and Pret are everywhere in the neighbourhood, offering us a standard experience - of space, coffee and everything - is signalling more than just coffee: This is about what we use public spaces for and how we use them. They are an instrument to create our identities. Imagine the morning coffee, not just its smell but also standing in the long queues at or by the station. The act of standing there is being part of a civilisation, which, despite its currency, seems to have been going on forever. This is being part of the office crowd, being busy, being hard-working, being on the path of, if one is not already, successful. The carefully crafted and branded paper-cup, with the cap and the holder, all parts of being modern, a fragment of our daily, and perennial, experience. Lots of odd things happened in 2016, and I wrote about them, almost reluctantly, as they happened. And, yet, while I could not keep myself from commenting on Trump's victory, I refrained from commenting on India's 'demonetisation' move, in which the Government annulled 86% of India's currency by value, overnight. This event has more real and emotional significance to me than Trump's victory, and indeed I am in the middle of a very heated discussion, online and offline, on the issue. Yet, I chose not to comment, at least so far, because I was so divided on the issue. And, commenting now is not a pretencion of self-importance: I rather thought it was best to say how I really feel, rather than trying to project that I am indifferent (which I am not). I wrote earlier about How To Build An University to argue that our current paradigms are flawed. My essential point was that the university, more than its buildings, curriculum and facilities, is a community, and this should be the key consideration for building an university. I wanted to add to this thought, how one may put the community at the heart of university-making, and think through some of the practical implications. The current mood in Europe can be summed up as Waiting for Le Pen. If Brexit was shocking, and Trump's victory was sobering, that Le Pen will triumph in May is something to be expected. It was indeed always in the realm of possibility - Michel Houellebecq was almost there till he conjured up an even more dystopian possibility - but in a space of last few months, a Le Pen presidency has become an unremarkable trend event. However, such expectedness should take away nothing from the consequences of such events, that they mark the end of business as usual. The global system of international relations and internal politics of nations are both breaking down, opening up all sorts of new possibilities and unforeseen dangers. Civil Rights and Democratic systems are at risk, and the new leaders may indeed leverage unprecedented powers of surveillance and of control to create new, terrifying, possibilities.